We’re still seven months away from watching the culmination of Marvel’s Phase 2 with The Avengers: Age of Ultron, but we already know how Phase 3 will conclude. At today’s special presentation, Marvel Studios announced Avengers: Infinity War Part I & II for May 4, 2018 and May 3, 2019 respectively. 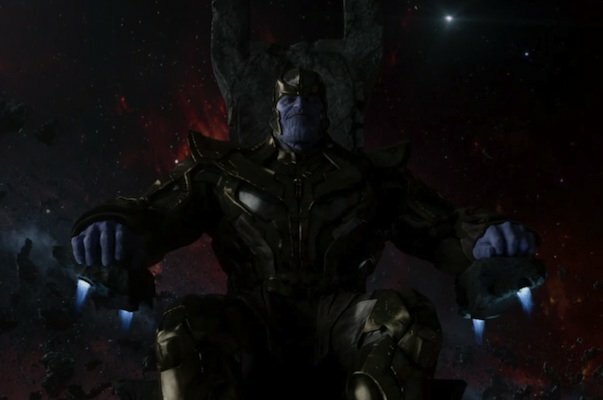 The galactic overlord Thanos has been teased as the MCU’s most dangerous villain ever since he cameoed at the end of The Avengers, and while the MCU will likely continue past 2019, this will be the culmination of everything this universe has been building to since its inception. Although plot details about exactly how it will all go down are scarce, here are the things you need to know to prepare yourself for the Infinity War. A smirk to the camera in The Avengers and chatting with Ronan in Guardians of the Galaxy. That’s all we’ve gotten so far of Thanos in the MCU. However, even with little screen time, it’s obvious that Marvel has big plans for him, and we’ll finally see those unfold during this "cinematic event." Josh Brolin will be reprising the role, having voiced the Mad Titan in Guardians this past summer. The galactic despot is already powerful enough by himself, but as the next section details, he’ll obtain true power when he finally collects all of the Infinity Stones. So far in the Marvel Cinematic Universe we’ve seen at least three Infinity Stones: the Tesseract (featured in Thor, Captain America: The First Avenger, and The Avengers), the Aether (seen in Thor: The Dark World) and the Power Orb (from Guardians of the Galaxy). The remaining three Stones will likely be introduced in the movies leading up to The Avengers: Infinity War, at which point Thanos will collect all six and insert them into the Infinity Gauntlet, giving him limitless power. We’ve seen that each individual stone is powerful on their own, but with all of them together, the Marvel heroes will face their greatest challenge yet. It isn’t just the Earth at stake when Thanos joins these ancient artifacts; it’s all of existence! 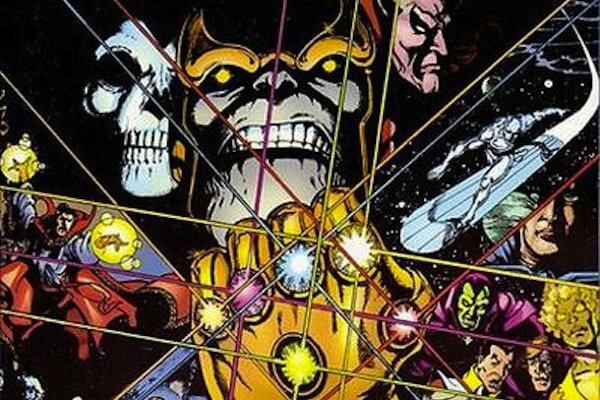 Thanos has spent decades on the page attempting to find all seven Infinity Gems (as they’re known in the comics), and in the 1991 story The Infinity Gauntlet, he finally succeeded. Among his demonstrations of power included erasing half of all life in the universe, all to please Death (yes, he is in love with the physical embodiment of Death). The only way the Marvel heroes were able to defeat him was because he took off the Gauntlet at one point. 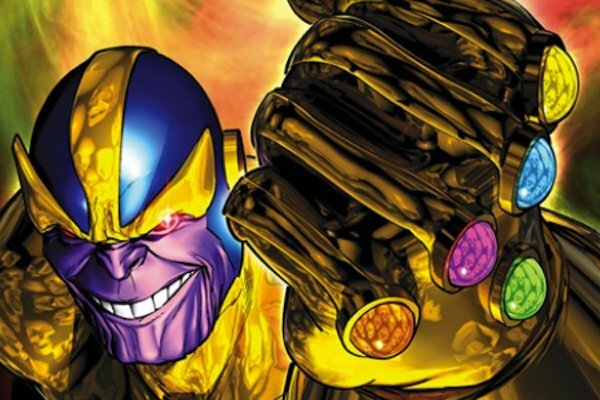 Obviously the Avengers: Infinity War movies won’t be direct adaptations of the original story, but if you want a hint at what we might see on the big screen, look for The Infinity Gauntlet at your local comic book store. Either way, brute force won’t be enough to defeat Thanos once he’s wearing the Gauntlet. The heroes of the MCU will need to think outside the box to stop him... provided they’re still alive. 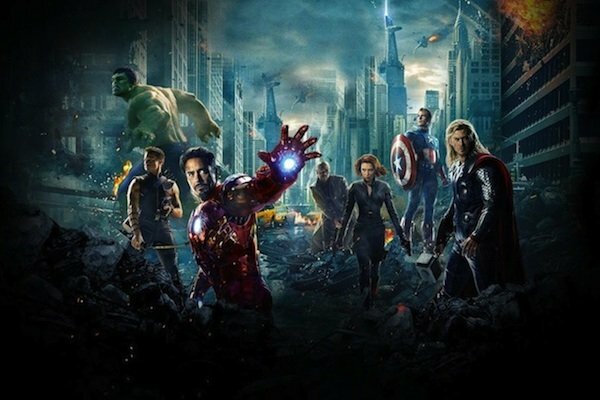 The movies are called Avengers: Infinity War, so we can expect that the main characters will be the main Avengers roster - whether it’s the characters we’re familiar with now or a new team. That being said, Thanos is a big enough adversary that Earth’s Mightiest Heroes will need all the help they can get, which is why other allies will join the fight, whether it’s cosmic heroes like the Guardians of the Galaxy, newer heroes like Black Panther and Captain Marvel, or even former Avengers who are coming back for one last round. The Infinity Gauntlet story in the comics saw Thanos taking on all of the Marvel heroes, so it would be somewhat of a letdown if we only had a team of 5-10 superheroes fighting for all of existence. Bring as many people as you can into this war! As Kevin Feige said during today’s presentation, the Marvel Cinematic Universe has been leading up to The Avengers: Infinity War ever since Iron Man was released in 2008. 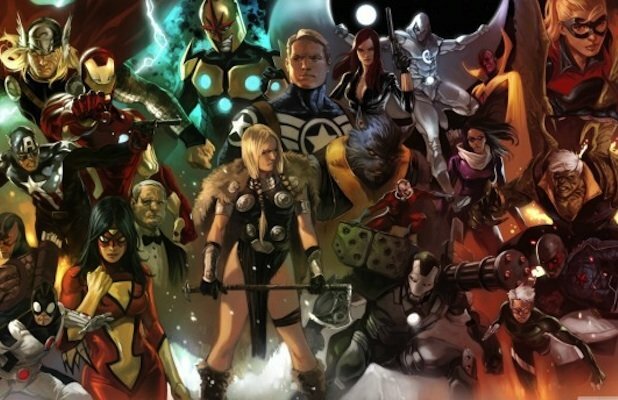 Marvel has plans for more movies leading into next decade, so the franchises won’t end or be rebooted after 2019, but we can perhaps think of thus as the ending of one book and the beginning of another. When Avengers: Infinity War Part II is released, an 11 year story will finally finish off, presumably leading into a new story for the MCU. That previous history will still be intact and drawn upon, but it will be fascinating to see how Marvel moves on from it, provided with an endless number of opportunities to explore new characters, new storylines and new environments.